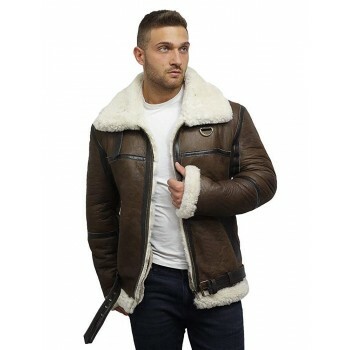 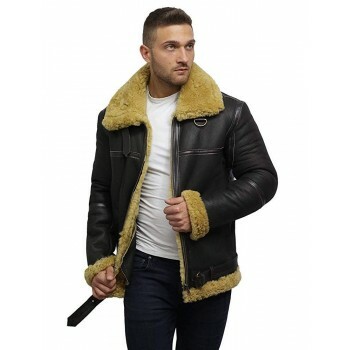 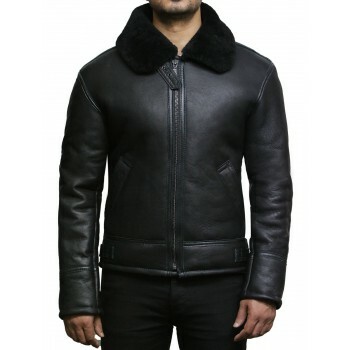 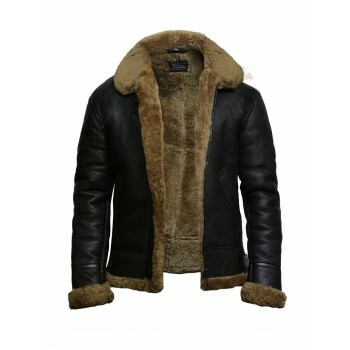 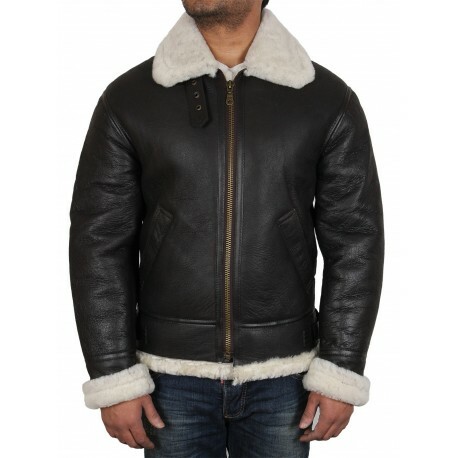 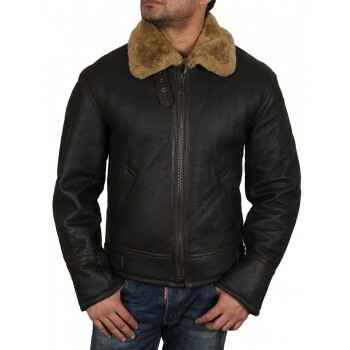 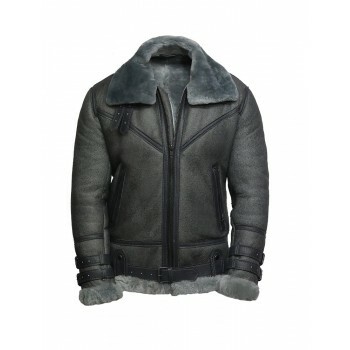 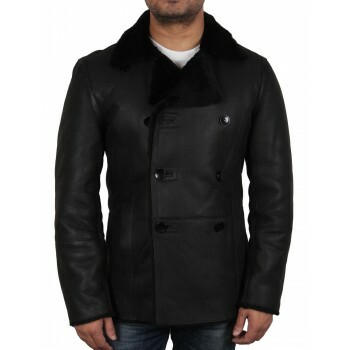 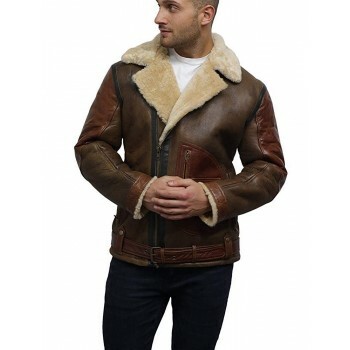 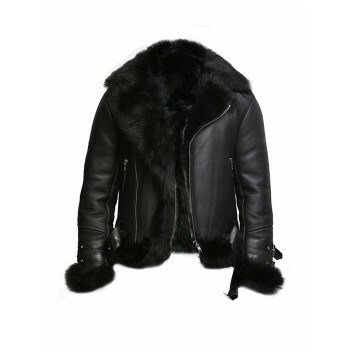 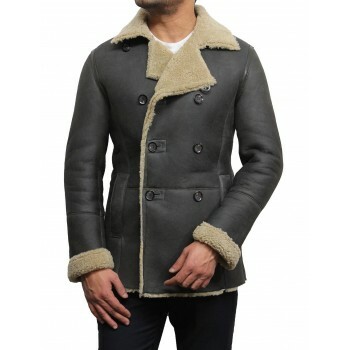 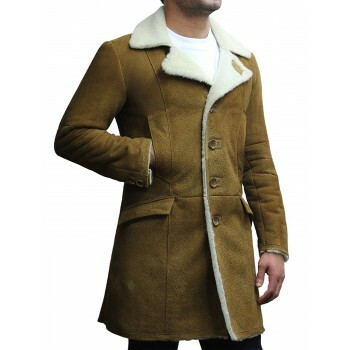 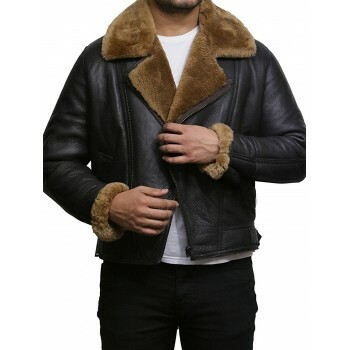 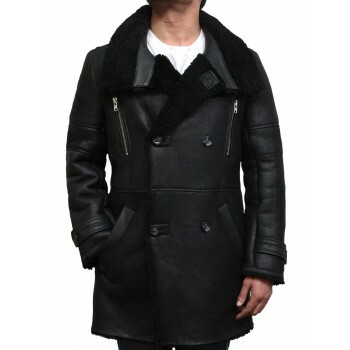 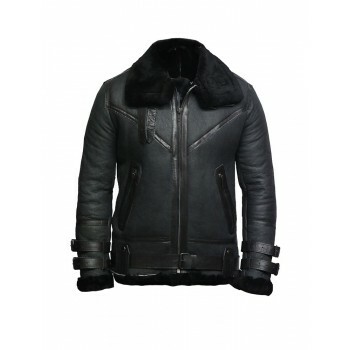 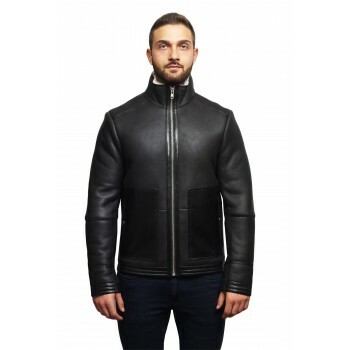 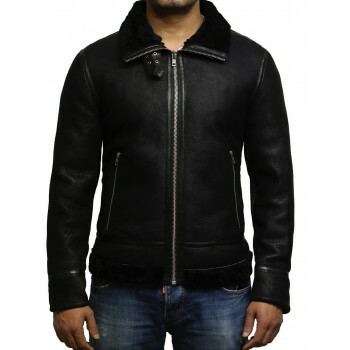 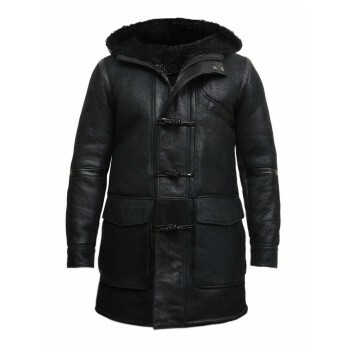 On the Outside of the jacket it is a beautiful leather finish, and on the inside there is a very smooth, supple and warm thick sheepskin wool which is 15mm thick. 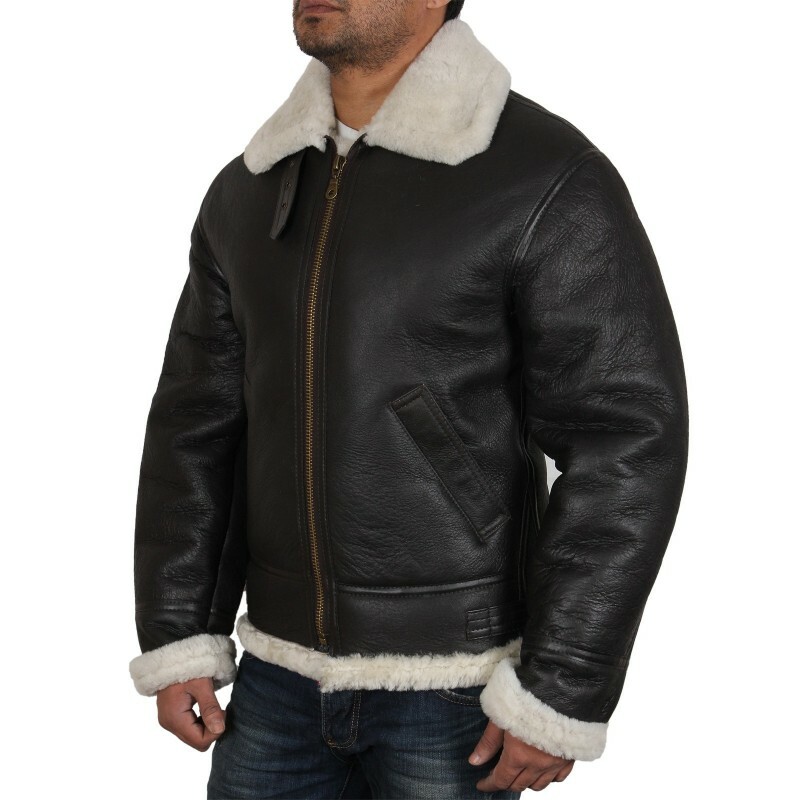 The jacket has two hand warmer slanted pockets. 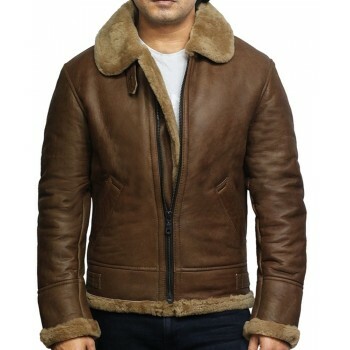 it also has a strap and buckles on the collar and 1 strap and buckle on the sides which are adjustable. 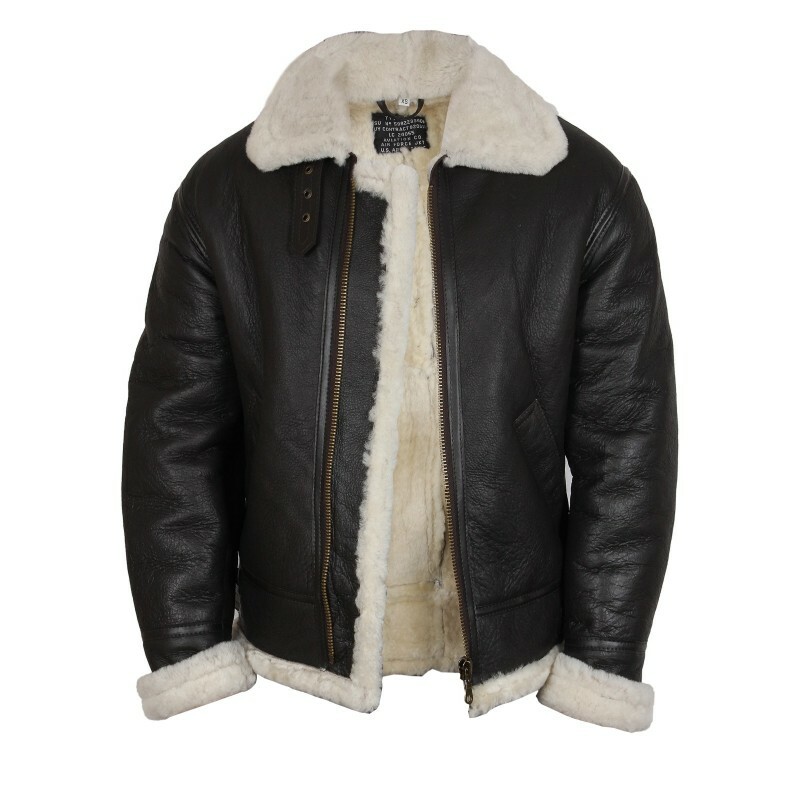 All Seams have been reinforced. 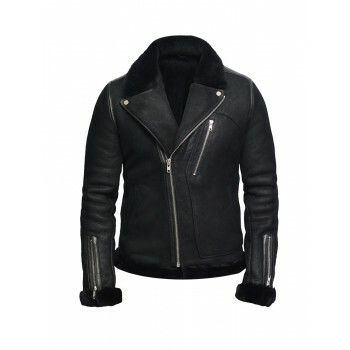 Straight long foldable sleeves which are made to adjust any length, easily adjustable with added look and comfortable movement. 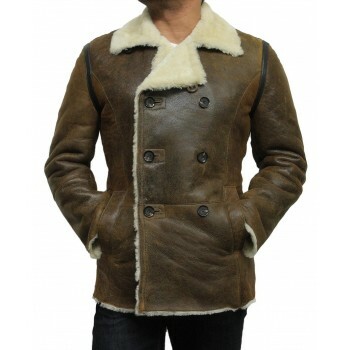 Top quality stitching through out the jacket to bring a designer look. 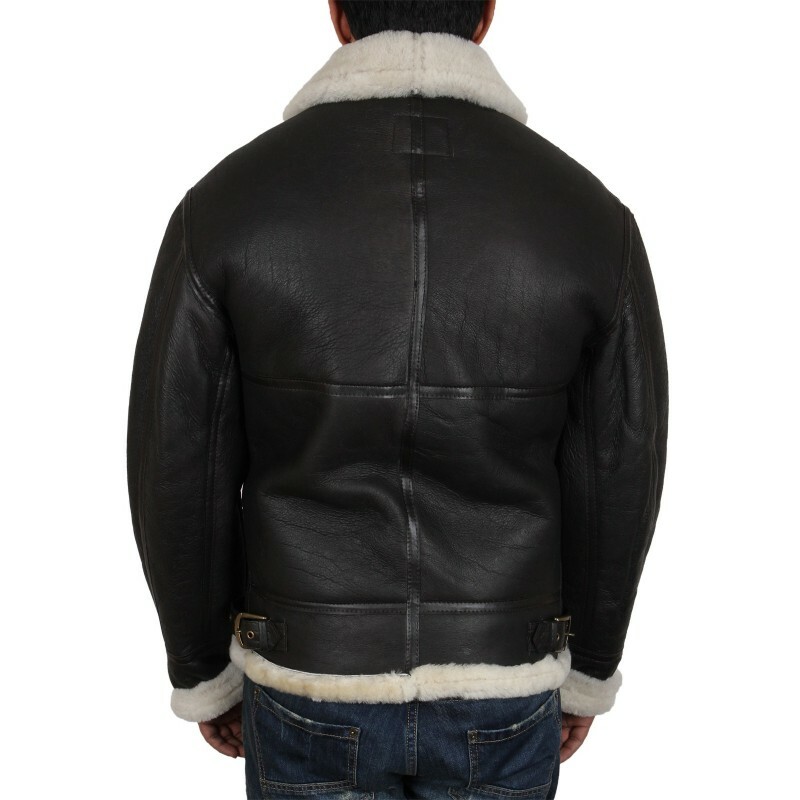 Waist strap and buckles at rear for the waist adjustment.